A project we are particularly proud of is our participation in Sweden’s largest wagon project; the manufacture of more than 1000 units of Bottom Dumper F050 for Swedish mining company LKAB. A few years ago, the Austrian model train manufacturer Roco made a model of ore wagon F050. They also made an authentic reproduction of the 1000th F050, which was painted golden-yellow to mark the milestone in Sweden’s largest wagon project to date. 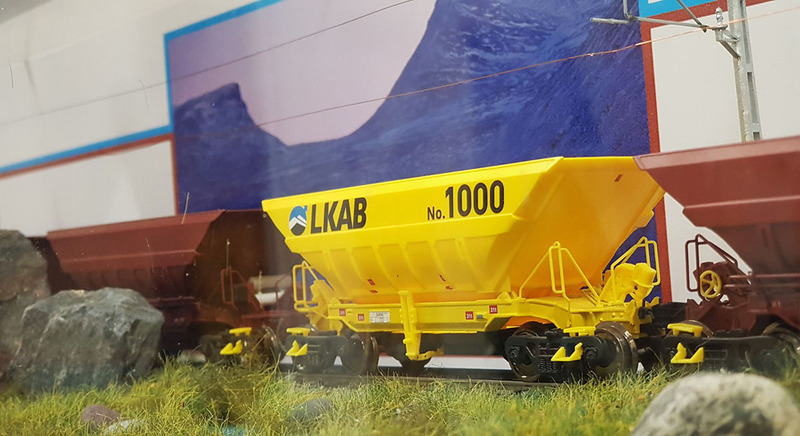 Naturally, this unique model wagon with the special livery “LKAB No.1000” adorns Kiruna Wagon’s office. 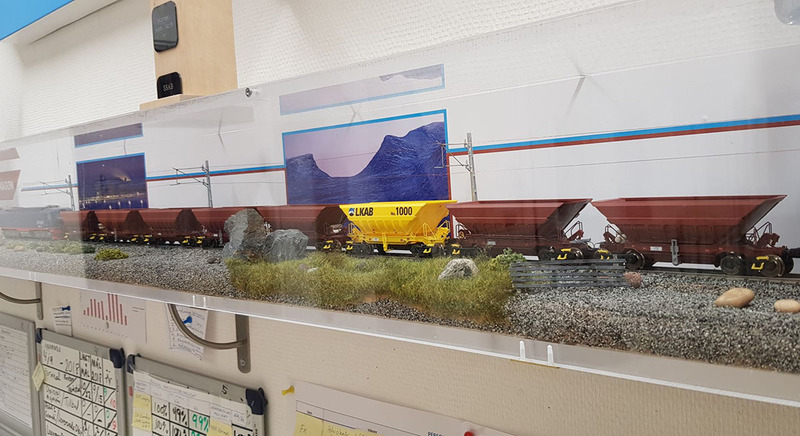 The 1000th wagon is currently unavailable to order from Roco but for train enthusiasts who visit Kiruna in Swedish Lapland, there is a chance to see the wagon in real life on the Iron Ore Line (Malmbanan), where it forms part of the trains that transport iron ore from the LKAB mines to the Port of Narvik in Norway.